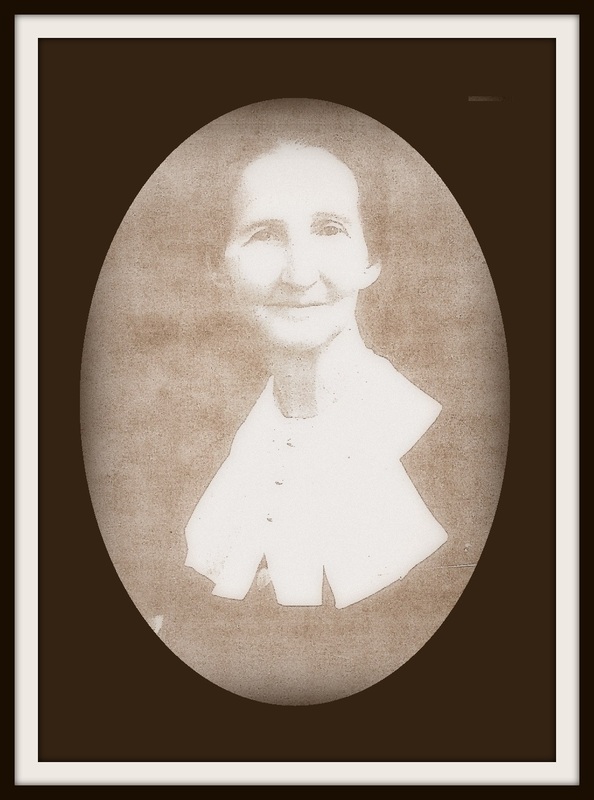 Mary Jane Bostick was a daughter of John David Bostick and Rachel Kirkland. She grew up in her parent’s household in the 1144th Georgia Militia District, the Rays Mill District. 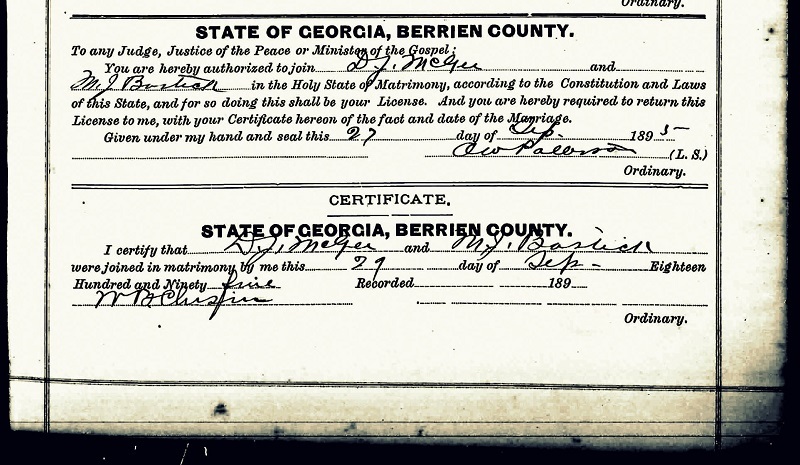 She married David Judson McGee on September 29, 1895. In Ray City, the MaGees lived in a house on the southwest corner of Main Street and Park Street. Her son, June Magee, built a small house on Main Street just to the west of his mothers’ house, and on the next lot was the home of Lacey Moore. December 27th marked the passing of Mrs. Mary McGee, a most lovable citizen of Ray City. She had been in ill health for quite awhile, rallying only slightly at times. There and in the immediate vicinity has been her home throughout the sixty-five years of her life. Her friends were numbered by her acquaintances. The community sustains a great loss by her going. The funeral services were held Sunday afternoon, December 28 at the Ray City Baptist Church where she had been a loyal and consistent member many years. Rev. John W. Harrell, her pastor, was assisted in conducting the services by Rev. R. C. Carter, pastor of the local Methodist church. Wiseman & Son, undertakers, of Adel were in charge. Music was furnished by Mesdames H.P. Clements, Ancil Vickery, Messrs. Herman and John Guthrie, Mrs. A.B. Baskin was at the piano. Active pallbearers were nephews of the deceased: Curtis McGee, Willie B. McGee, Shelly McGee, L.J. Bostick, Lincoln B. Bostick, N.A. Boyette. Honorary pall bearers were: Messrs. Lossie Webb, Pleman Sirmans, H.P. Clements, A.B. Baskin, N.A. Swindle, B.P. Swindle, J.N. Swindle, Lyman Giddens, Lacy Moore. Mrs. McGee is survived by five brothers and sisters: Messrs. Hardy, Leonard, Jesse, Freeman, Ivey Bostick, Mesdames Mattie Boyette, Florence Kent-Peavy, Annie Durren. Her surviving children are: Mesdames Bessie Rhodes, Nashville, N.C.; Emma Smith, Ray City, Ga.; Messrs. Perry McGee,Miami, Fla.; Eddie McGee, Cecil, Ga.; Luther McGee, Adel, Ga.
We will never forget our beloved brother, June McGee, who died February 24, 1936 and our dear Mother, who died December 27, 1941. With many thanks to all our friends, through the trying bereavement during the illness, and the after the death of our Mother, is this memoriam written. Perry McGee, Miami, Fla.; Luther McGee, Ray City; Eddie McGee, Ray City; Mrs. R. D. Smith, Ray City; Mrs. L. B. Rhodes, Ashville, N.C.; Mrs. June McGee and daughter, Hazel. 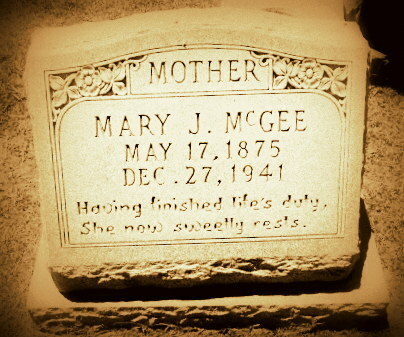 Grave of Mary Jane McGee (1875-1941), Beaver Dam Cemetery, Ray City, GA.